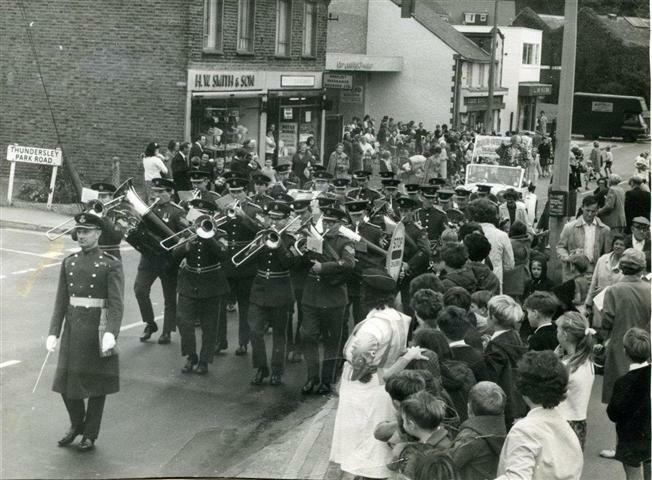 Lee Morgan, who grew up in Benfleet and attended Benfleet Primary School, sent us this photograph of the grand opening parade for Wallis Supermarket. This was in the High Road opposite the School. Later it became a Co-operative supermarket but this has since closed. On the corner of Thundersley Park Road, is Smith’s the bakers. Next door is Benfleet Insurance Brokers. This was operated by Mary and Ken Morgan, Lee’s parents, and they can be seen standing in the doorway enjoying the occasion. 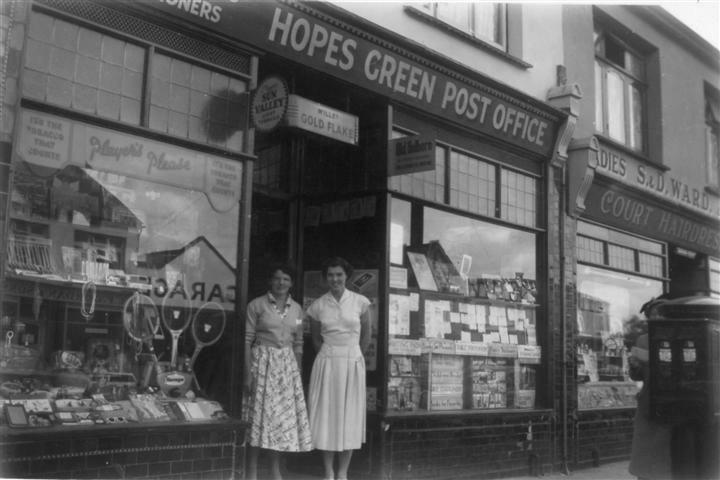 Lee also sent the second photograph, taken in 1956, of Hopes Green Post Office and toy shop. Outside the shop, which was at No.304 in the High Road, stand, left, Mary Morgan who worked there at that time and, right, Mrs. Drane, the owner’s wife. I started at the Hackney store in 1972, also Poplar, Barking, Stratford, Leytonstone, when international stores took over. Check our F.B. page, if you have any stories or mates. 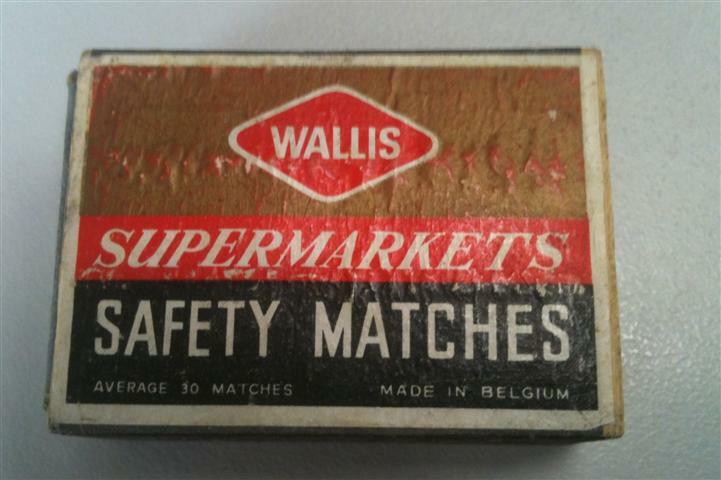 Have you got any photos of f.j.wallis stores? 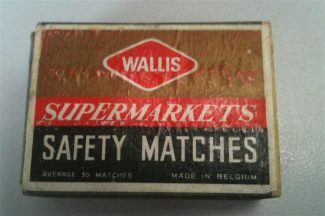 I started work at Wallis’s High Rd Leyton in 1972. I was a child at Benfleet School. On the day Wallis’s opened we children were allowed out of school onto the recreation ground at the back, where Coco arrived in a helicopter (I may have mis-remembered that, but I remember the wind and noise). We then followed the parade (with our teachers) to see the grand opening. My sister was later in the same class at King John as Denise Glyn – daughter of the owner. Sadly, she died at around 17 of an asthmatic attack and her mother never got over the tragedy. Hi, this has brought back fond memories, I worked at Wallis’s right from the opening and i was on the door handing out baskets after Coco opened the store, I went for my tea break after a couple of hours and sat next to him and had a good chat to him. We lived in Benfleet in Danesfield just by the bird estate which was built on the old Amy Camp, lots and lots of memories from that area and could talk all day about my upbringing, happy days. I remember that day! It was CoCo the Clown who opened Wallis (that’s him in the car). 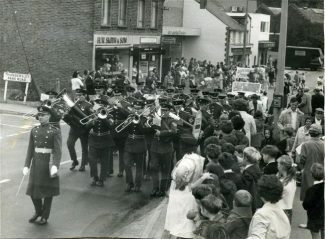 The parade went from the recreation park at the back of Benfleet school all the way to the High St. I used to go in to Smith’s often on my way to school and buy miniature Hovis loaves. I also remember the Post Office and being in there with my mum the day that decimalisation came in!